Product liability cases are being filed dime-to-a-dozen. But, are all of them getting the deserved compensation, or even successful results? Knowledge is power, and once you know the different types of claims in a product liability case, you are much better prepared to have a successful outcome. Let’s discuss the different types of product liability claims, and how you can pursue them to achieve a successful outcome. This is the most common type of product liability claim. It must be mentioned that, in a product liability claim, the injury or adversity must have been caused by the manufacturing defect in the product. Your claim only stands if you are able to prove this beyond doubt. Manufacturing defects are what lead to established companies recalling their products. It implies that the product did not perform as it was intended to. This strikes off negligence in product liability resulting from defect in manufacture. Strictly speaking, the manufacturer did not make a mistake in the design, but the error was in the assembling process – which indiscriminately made the product risky for use. Because of the error in the particular product, it is different from the others produced in the same badge. Such claims operate on the basis of strict liability of manufacturer. What this means is that the manufacturer is at fault, but they did not intend the product to be harmful. In strict liability, you do not need to prove negligence on the part of the manufacturer. But, the manufacturer must pay the due compensation to the injured party who has suffered due to the use of their product. A fine example of manufacturing defect product liability can be the Garcia versus Ledraplastic case. In 2009, Francisco Garcia of the Sacramento Kings was balancing on a 75 centimeter Ledraplastic balancing ball, when out of the blue, the ball burst and he was injured badly. Garcia ended up fracturing his right arm and could not play the first four months in his contract with the Kings. Consequently, Garcia filed a product liability claim against Ledraplastic for $4 million worth in salaries and $29.6 million in damages. Garcia won the case. A good product liability attorney can make all the difference in winning you justice and compensation. 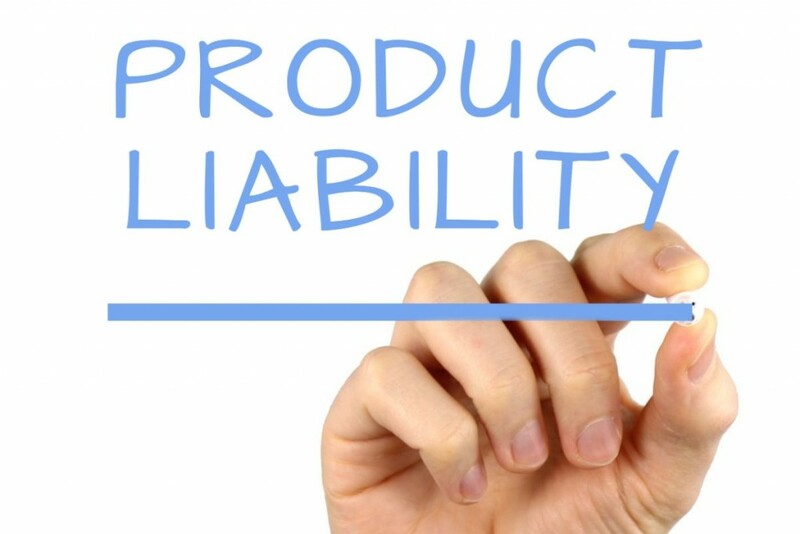 However, it must be emphasized again that you can only file a product liability suit when the damage or injury is caused due to the manufacturing defect of the product, and not because of any additional factors. The second type of product liability involves fault in the design of the product, which makes it inherently dangerous. This is usually regarded as a stronger legal accusation, as this implies that not just an individual product, but an entire line of product is inherently dangerous. There is no error involved here, but wrong specifications from the manufacturing company itself. This claim is usually harder to prove, as you will need to prove that the product design was unreasonably dangerous. Moreover, there are certain products that simply cannot be designed in a cost-effective manner without being inherently dangerous. Consider the case of air-bags. Everyone knows airbags in automobiles can cause severe injuries. Yet, they serve a much higher purpose and are cost-effective. In most collisions, they can provide a safety net to the the driver and passengers. Hence, the manufacturers have very strong grounds to defend. Defect in design involves the element of negligence, as well as strict liability. This means that a design defect occurs when the possibility of risk is evident in the product during its manufacturing and designing state for its intended purpose, and still the risk is not mitigated. Product liability attorneys often argue in such cases that the manufacturer could have averted or avoided the risk by adopting a reasonable alternative design. Your product liability attorney often cements the case by showing an alternative design and cost benefit analysis for the product. If your attorney can prove that a modification to make the product safer would be lesser than the medical expenses the plaintiff had to undergo, and that it would not diminish the manufacturer’s profit margin extensively, negligence is established. A negligence claim primarily asserts that a manufacturer knew or should have known the risk associated with the product. The third type of product liability claim is one where the manufacturers do not provide required warning about the product’s usage. In simple words, the manufacturers did not warn the consumers about the hazards associated with the product. This also implies that the dangerous quality of the product is not apparent to the consumer. So, the consumer needs to be given special instructions to deal with the product carefully. This failure-to-warn holds the manufacturer responsible for the mishap. The iconic McDonald’s coffee case is the best example of such a claim. In 1994, Stella Lieback accidentally poured hot coffee and accidentally spilled it on her lower body. She suffered third degree burns on her thighs, groin, and buttocks. Liebeck was awarded a jury verdict of $2.7 million in punitive damages and $160,000 for medical expenses. Liebeck’s lawyers argued that the company was serving coffee at a temperature higher than the reasonable 140 degrees, the temperature at which most other outlets serve coffee. They also asserted that the coffee cup carried no warning about the temperature, either. This case resulted in McDonald’s issuing a permanent temperature warning with its coffees and shelling out huge amounts as compensation. Understanding the differences between the different types of liabilities will allow: (i) you to understand your claim better, and (ii) your attorney to present your case more effectively. Consulting an attorney who specializes in product liability will help you get a higher compensation faster, and deal with the complications and tricky aspects of a product liability case. The renowned firm of Connecticut product liability lawyers warn that before filing a product liability claim, you must make sure that you were using the product as it was intended. This simply means that you were using a saw knife for cutting, shaping, or designing something, and not for playing Frisbee. If you meet the above requirements and have been hurt or injured by a product due to a manufacturer’s defect, you should seek legal help, and file a product liability case to receive due compensation of medical treatments, emotional trauma, lost income, and other irreversible damages.